Mark Loney joined the Department of Defence in 1988 before moving to the Spectrum Management Agency and communications regulation in 1996. Over the last 21 years, Mark has lead the development, implementation and delivery of regulatory arrangements for broadcasting, radiocommunications and telecommunications services. 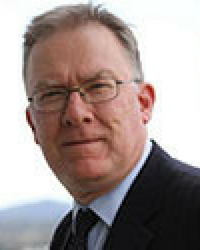 He played a key role in the establishment of the Australian Communications and Media Authority (ACMA) in 2005 and has been responsible for service delivery in the Communications Infrastructure Division of the ACMA since 2009.